If you're anything like us, winter doesn't signal gloomy moods and too many carbs. Well, OK, yes...we DO love carbs as the temps drop, but still—winter is a wonderland of snow, cozy fireplaces, hot beverages in huge mugs, too many cookies, and all the flannel, fleece, and woolen goods one could imagine! So if you, too, go weak in the knees for winter, then...why wait? At the first feel of crisp fall weather, dash through the snow...er, sorta...in these 3D Novelty Snowman Crew Socks! Sure, you may get a few weird looks here and there from trick-or-treaters, but you'll also be in your happy place, sipping cocoa by the window, which you've conveniently sprayed with fake snow! These socks are Cute with a capital "C!" They feature a white knit base with black accents at the toes and heels, along with a striped detail at the calf. 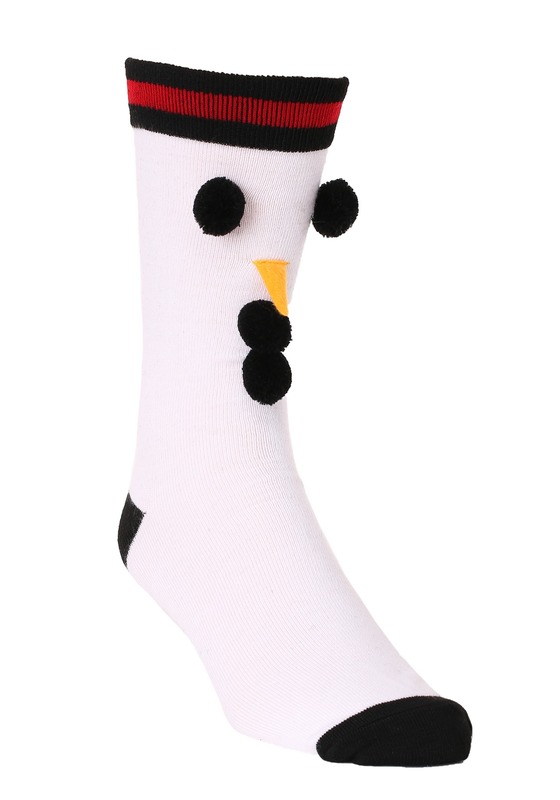 Black pom poms replace the "coal" of a snowman's face, and a nifty knit detail becomes your snowman's "carrot" nose! And the best part? Like your love of winter, these snowmen will NEVER melt! So, feel free to skip right over all those plaid shirts, mugs of hot cider, and falling leaves, if you so choose! 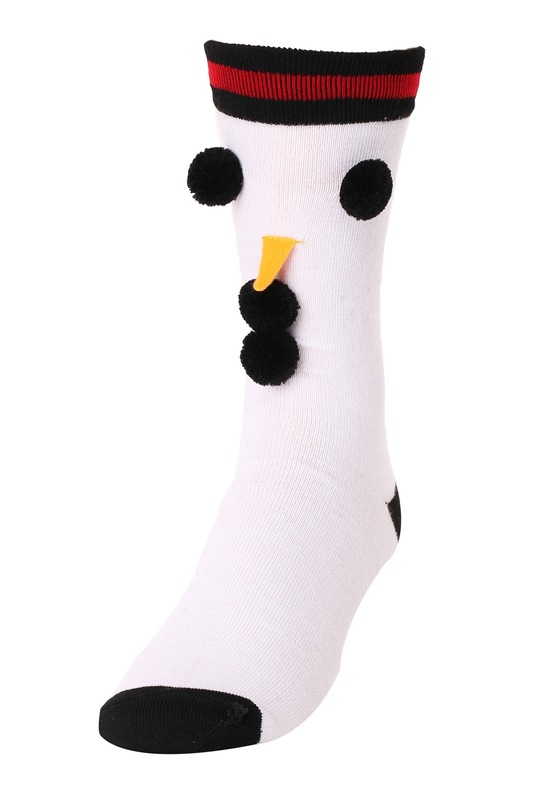 These sweet socks are ready and waiting to make your winter dreams come true, ASAP!